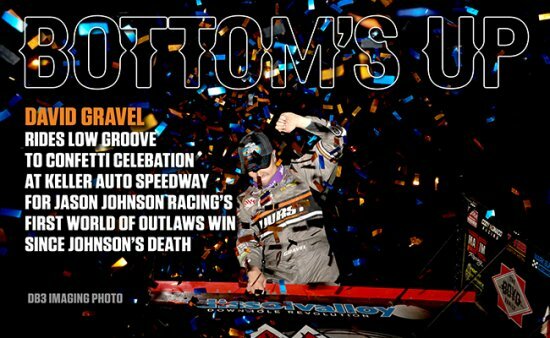 The Greatest Show on Dirt will make its next stop Friday, April 12, and Saturday, April 13, at the historic Devil's Bowl Speedway in Mesquite, Texas. As always, you can catch all World of Outlaws NOS Energy Drink Sprint Car Series action on www.DIRTVision.com. Last year’s Rookie of the Year Ian Madsen opened the swing in early March at Thunderbowl Raceway — where Reutzel won his first ever World of Outlaws race last year during the swing — winning everything he could: fastest in practice, Quick Time, Heat win, drew the pole for the DIRTVision Fast Pass Dash, won the Dash, lead every lap in the Feature and won it. Reutzel did exactly the same at the half-mile Perris Auto Speedway. He was fastest in practice. Quick Time. Won his Heat race. Drew the pole for the Dash. Won the Dash. 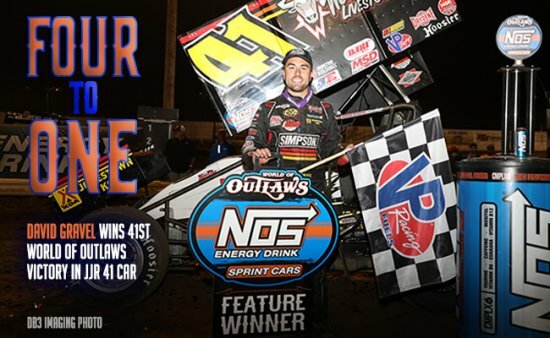 Lead every lap in the 30-lap Feature and claimed his second World of Outlaws win at the SoCal Showdown. “Unbelievable,” the Clute, Texas native said, having to pause afterward, as if to try and grasp the dominance himself. Coming into the Perris race, Reutzel had a top-five and two top-10 finishes in the California swing and sat seventh in Series points, ahead of full-time World of Outlaws drivers such as Shane Stewart and Madsen. But to Reutzel, he was having a terrible year and it was time for a change. He and his Baughman-Reutzel Motorsports team made one the morning of the race. It worked. That little change; ditching a newly built car to put an old car back together. With the car he’s been running, Reutzel said it felt like he and his team were always playing catch up when it came to the Feature and could never qualify well anymore. “That’s something you can’t do with these (World of Outlaws) guys,” Reutzel said. Now, his confidence is back. 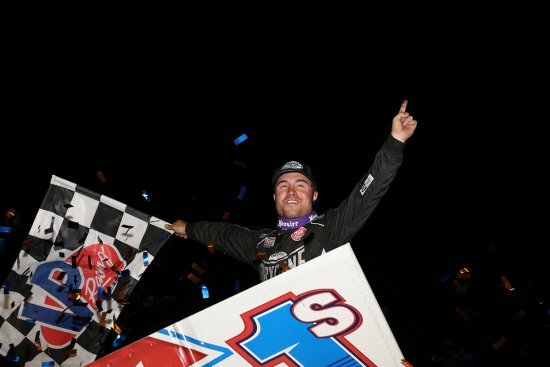 It showed on track, holding off two California natives who grew up racing on the California swing tracks — rookie Carson Macedo and Rico Abreu. In the early stage of the Feature, Macedo presented himself as a possible threat to Reutzel, inching in on him lap after lap. After an early red flag, for a flip involving Brent Marks, Reutzel had his biggest challenge yet with Macedo starting next to him and Abreu behind them. But when the green flag dropped, Macedo and Abreu were left trading slide jobs to determine who would finish second while Reutzel sailed away. It was the same story with on another restart a couple of laps later. 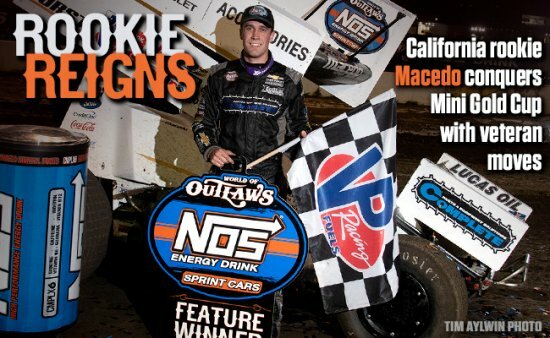 Macedo has had one of the best California swings out of all full-time World of Outlaws drivers, having finished in the top-10 in all five races and got his first win of the season at Silver Dollar Speedway. 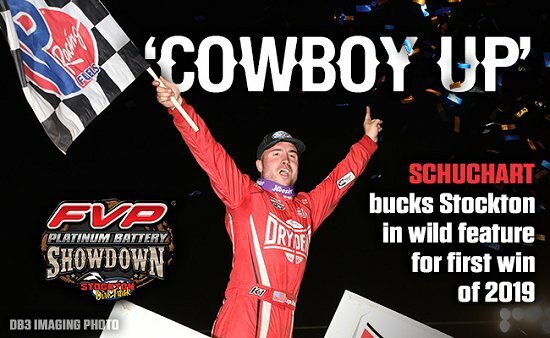 In line with Macedo and Madsen, Reutzel is the eighth different winner this year in the past nine races. And even though it’s his second ever Series win, it’s still as special as the first. 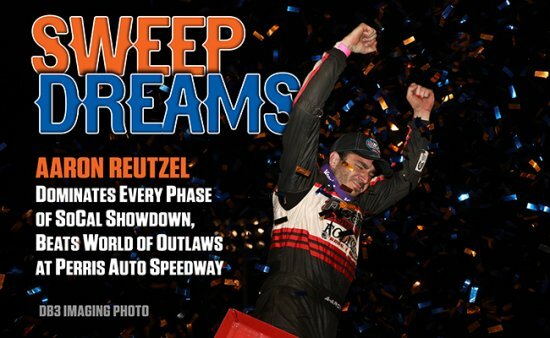 Reutzel’s win closes the story of the 2019 World of Outlaws Spring Break California swing, but the Series continues next weekend on Friday, April 5, for the Wildcat Shootout at USA Raceway in Tucson, Ariz. and on Saturday, April 6, for the Arizona Desert Shootout at Arizona Speedway in Queen Creek, Ariz. The Texan’s next chapter with the World of Outlaws will begin in May at Eldora Speedway. As always, you can catch all the World of Outlaws NOS Energy Drink Sprint Car Series action on www.DIRTVision.com. 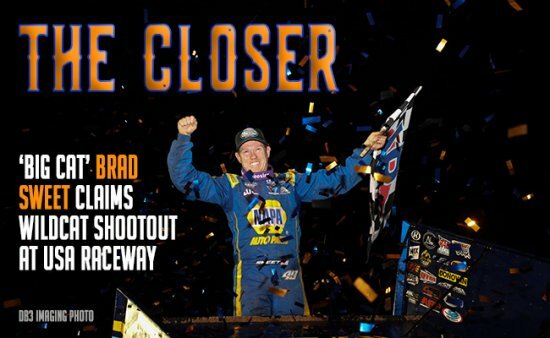 His advantage; it’s a track he grew up racing on – local knowledge that paid off as he led an all-Outlaw podium sweep in the Mini Gold Cup presented by Riebes NAPA AUTO PARTS.